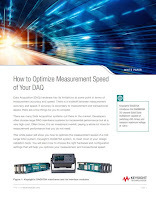 Read-out Instrumentation Signpost: Optimise measurement and transaction speed. 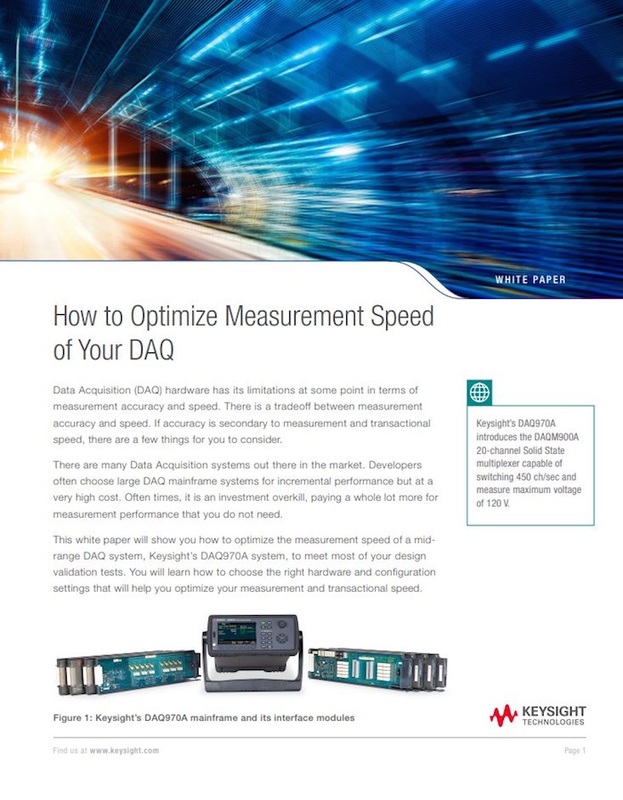 Get fast, quality measurements without a large data acquisition (DAQ) mainframe system in this new paper from Keysight Technologies. There are tips about how to select the right hardware and how to configure it to increase reading speed. Optimize they DAQ system for throughput, scanning speed, and accuracy with help from this white paper. An optimised DAQ test solution can help to realize cost savings in the long run, higher throughput, higher sales revenue, and better equipment utilisation.